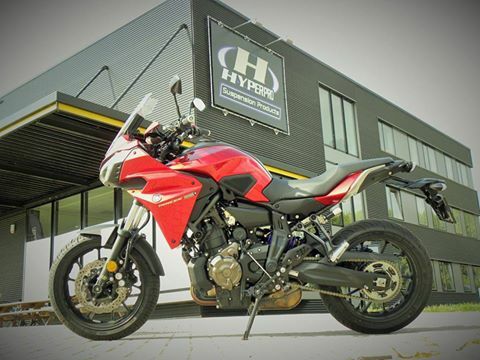 Hyperpro Suspension Technology is offering a complete package for the Yamaha MT-07 Tracer (FZ-07 Tracer). Hyperpro already offers a rear shock, a spring set and a Streetbox for this bike. 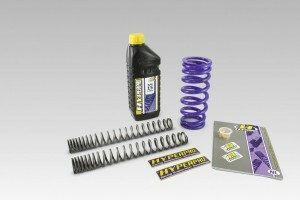 Now available is an upgrade spring set, which lowers the bike with 25 mm. This can be done by only changing the rear spring on the OEM shock and changing the front fork springs. 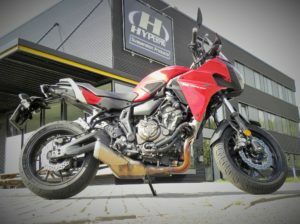 A great feature for all those riders who do like this MT-07 Tracer, but would like to fit on the bike more easy and gain more trust and confidence while riding. 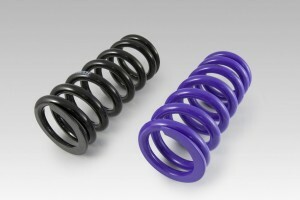 Reference is SP-YA07-SSC023 and available with a purple or black spring. For more info, contact your local dealer or check on the where to buy section where to go to!